Don’t miss F:east Japan this weekend 7th – 8th June at Japan Centre Piccadilly. 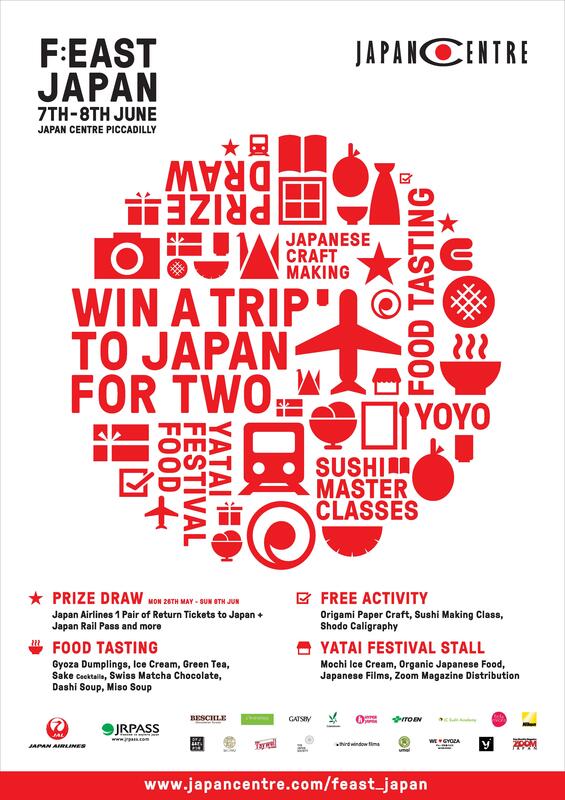 This weekend long event sees the store taken over by delicious food stalls, free craft workshops, food demonstrations and an amazing prize draw to win a trip for two to Japan courtesy of JAL and JRpass.com, as well as more fantastic prizes! For more event info and details on how to enter see the F:east Japan website. Posted in Food and tagged competition, events, in-store tastings, Sake, street food, sushi, yatai. Bookmark the permalink.